Super cute bookmark, longer than i thought.. which is good! I see it, I’m excited to read. I enjoy having the sunflower peak out at the top I wanted a new bookmark so I could have some motivation to get back into reading and whenever. It is very cute and shipping was faster than I expected. Our cat Tesla sitting on our park bench. After our teenaged son, our only child, fought (and won) a battle with cancer, my family moved to five acres of forest in beautiful Northern Michigan along with our sweet introverted dog and six funny lovable cats. We have nicknamed our home "The Enchanted Forest" because its natural beauty is so enchanting. I find inspiration for my crocheted items in the beauty of my surroundings and the seasons. I am a 50-something wife and mother. I spent busy years homeschooling our son and now that I am entering a new season of my life, I have taken up my crochet hook once again. I also write a Wordpress blog called "I Love To Go A Gardening." 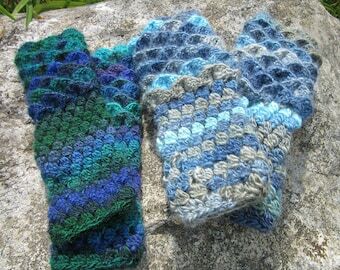 I make beautiful handcrafted crochet items to treasure. Each item in my store is made when you order. If you would prefer a color that is not listed, please contact me. If I can find it, I will make it for you! If you are not happy with your purchase please contact me as soon as possible and I will do my best to correct the issue. My goal is for you to be satisfied with your order. Please read product description thoroughly before placing your order. All items come through USPS flat rate package. Shipping charges are set by USPS. Shipping is based on each box shipped. No additional shipping is charged on multiple smaller items such as bookmarks since I can fit many in one box. Larger items such as pillows are each shipped separately and shipping is charged per box. I strive to make and ship each item within 3-5 business days of purchase. Multiple orders or custom colors may add to processing time but I will always work hard to get your orders shipped within 3-5 days.